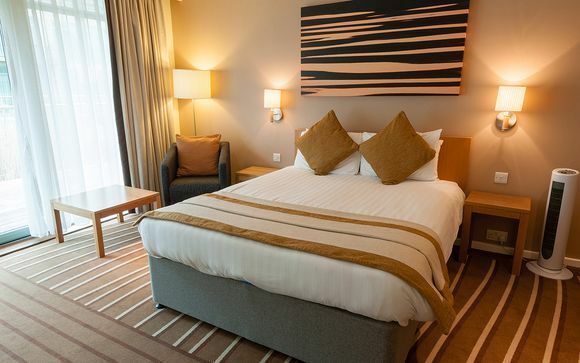 Make use of the spa, visit the hotel restaurant, and truly enjoy the best of a UK staycation! It’s hard not to fall in love with the Cotswolds. With its honey-coloured houses, higgledy-piggledy villages and peaceful countryside, this area is one of the most beautiful Britain has to offer with so much to see and do. 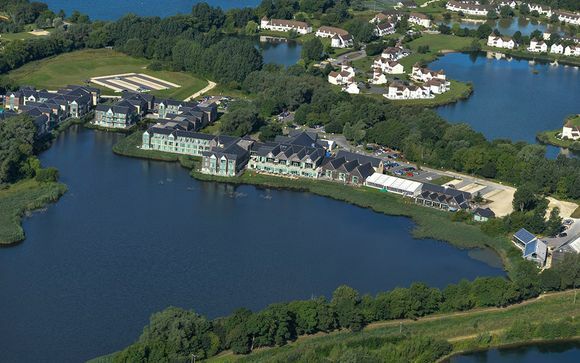 And the hotel is also located in the heart of the Cotswold Water Park, with 140 lakes offering a variety of water sports including: canoeing, kayaking, sailing, wakeboarding, water-skiing, windsurfing, fishing, boating and inland beach. This delightful market town is perhaps one of the best known Cotswold destinations. Take a stroll round the fine array of Cotswold stone buildings or browse the antique shops, art galleries and craft shops. Situated just a few miles from Stow-on-the-Wold, Bourton-on-the-Water is sometimes described as the ‘Little Venice’ of the Cotswolds. Enjoy a picnic by the River, sit outside one of the many pubs and cafes or just marvel at the beautiful, old shops and houses, which are made of local Cotswold stone. Situated on the River Coln, about a half an hour drive from the Cotswold Water Park, Bibury is not to be missed. Once described by William Morris as ‘The most beautiful village in the Cotswolds’, the village is home to Arlington Row, a group of world-famous ancient cottages, dating back to the 16th Century. Visiting Burford, a small town located under an hours drive from the Cotswold Water Park, is like stepping back in time. This beautiful town, situated on the River Windrush was once a wealthy wool town. Now it is a popular hot-spot for visitors who come to admire its ancient shops, houses, restaurants and pubs. The nearby market town of Cirencester is steeped in Roman History. The second largest town in Britain during Roman times, Cirencester is now a busy town and central point for many local villages. More like a Cathedral than a church, St. John Baptist Church, which is located in the town square, is one of the largest in England and is definitely worth a visit. Nearby Gloucester is well worth a visit, with its Norman Cathedral and restored docks. Once you have explored the town, enjoy a boat ride from Gloucester Docks and admire the Victorian warehouses, which have starred in many period films. Please note: the bed for the 3rd/4th guest sharing is likely to be a sofa bed or camp style bed. Only a child can be accommodated this way. Each of the 328 hotel bedrooms offer all the comforts of home alongside every modern convenience and state-of-the-art design. Nature’s touch inspires the interior styling of all the en suite bedrooms, with wood, stone, and other natural elements being integral to the design. All are light, airy, and modern. This offer is based on a bed and breakfast stay. Just for you: A 10% voucher off dinner, (per party per night, not including drinks) for the number of guests staying in the hotel. This table can be booked in the Brasserie or the Old Boat House Pub ( Dinner on Fridays and Saturdays in Dec can only be taken in the Old Boat House as Brasserie is booked for private Xmas Parties). Subject to availability - tables not guaranteed. With its majestic position overlooking the lakes at South Cerney, the Brasserie provides contemporary charm in an idyllic setting, creating a relaxed ambience, which combined with a host of traditional Brasserie delights, makes for a rewarding visit. The Brasserie with a lakeside view is set in the Cotswold Water Park Hotel and offers an wide variety of choices to dine from. Expert chefs use only the finest ingredients to prepare the wide range of mouth-watering dishes available, which include breakfast and dinner. The restaurant design is sympathetic to the stunning Cotswolds surroundings, with natural materials being an integral part of the cutting-edge design. Large expanses of glass maximise the beautiful views and give the restaurant a light and airy feel. A striking feature of the restaurant is the wine wall, quite literally a glass-encased wall of our specially selected wines! Make the most of fine weather with the spectacular decking, which looks out onto the Cotwolds lake, and captures the sunlight for most of the day. There is no better way to start the day than with a leisurely al fresco breakfast overlooking the stunning view. The delicious dinner menu and extensive range of wines can also be enjoyed on the decking and, with the glorious sunsets and the abundant resident wildlife, make the perfect end to the day. Relax with a drink and a light meal in thecomfortable, contemporary Lounge and Bar area. It is open from early morning until late and offers a delicious range of freshly prepared snacks and light meals, as well as a wide range of drinks. Styled like a traditional Boathouse, but with a stunning contemporary twist, The Old Boathouse Pub specialises in modern British food originating from the Cotswolds area. Relax and unwind in the modern surroundings and marvel at the picturesque views with a refreshing drink and delicious, freshly prepared food. Just for you:20% off prebooked Spa Treatments ( subject to availability). Enter Spa 6, one of the most luxurious spa hotels in the UK and discover a haven for the body and mind. Spa 6 is a truly tranquil setting for an enviable range of beauty treatments and spa facilities designed to pleasure, pamper, enhance your fitness and ensure you enjoy a genuine spa experience. 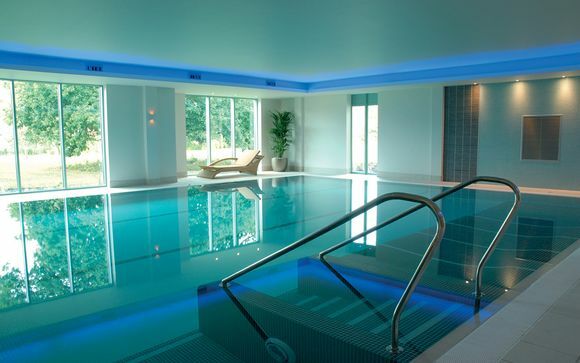 Set in the heart of the Cotswolds, this Cotswolds Spa Hotel is the perfect place to experience some real ‘me-time’. Cotswold Water Park Four Pillars Hotel is situated off the A419, 3 miles from Cirencester and only 20 minutes from junction 15 of the M4 and junction 11a of the M5.